This is going to be a tad dramatic, but I believe in the lens of a cultural analysis of one of the top grossing media empires in the world, kind of important to note. Two of my favorite characters from the Marvel Cinematic Universe is Captain America and Thor. Human golden retrievers that took a sharp departure from the grim and grit of the anti-hero. I like my movie bad boys, but there is something kind of lovely to see hope and abashed kindness portrayed in a complex, nuanced way. But it took Marvel a couple of jabs to get them right— Steve Rogers had a middling first movie, followed by a fun but one-note appearance in the first Avengers movies. But The Winter Soldier completely changed everything for Steve, respecting his good heart, acknowledging a changing world, insisting that the past was just as flawed, and that his PTSD is fundamental to his character. It took until Thor: Raganrok, Chris Hemsworth’s third solo movie and sixth appearance as the character, to cement Thor’s likability, complexity, and heroism. Thor is wonderful and I love him— but we were all late to the game. Steve and Thor’s status as white men allowed them a couple of misses. Marvel was okay with middling movies, Marvel knew they needed to establish their big heroes, Marvel was okay with an alright box office. So Marvel built themselves this huge anticipation for Captain Marvel. It’s a moment, a change in the field. The last Avengers movies implies that she will swoop in as a major player. And while I adored the Infinity War cliffhanger for our next Captain, Marvel threw themselves into a terrifying situation they created. Or maybe they could never avoid it. Sometimes the intense bad-faith backlash to anyone who isn’t your typical lead crawls underneath your skin and just dies there, leaving you with a bad feeling for the rest of your day/week/month. It’s not a “log-off Twitter” type of deal. This is what women (and especially Black women and women of color) face. What happened to Kelly Marie Tran and Leslie Jones makes my heart hurt. 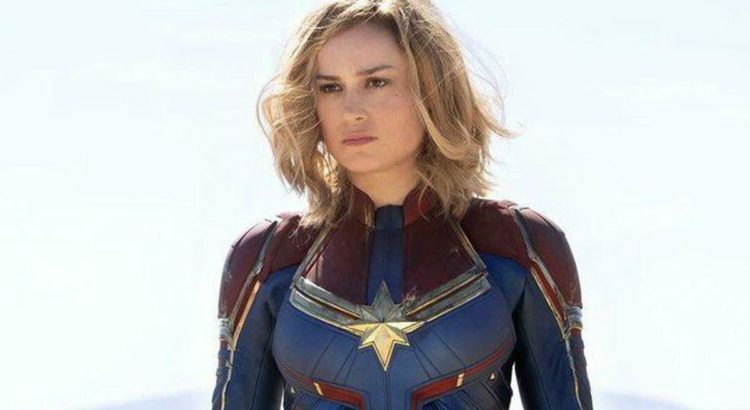 I believe a part of this angered wave is Brie Larson’s own political views. She is devoted to the cause of intersectional feminism and allyship. You know the critics I am talking about, so I am not going to get into it. I haven’t seen the movie yet. That’s why this is a preview. I’m going to watch it and I am going to try to expel this all from my already over-hyped brain while I watch it. I might not even like it, and that’s my right. But I don’t think it discounts Brie Larson, the cast/crew, the idea of a female leading production, and the idea of women just existing. It’s just a movie. Captain Marvel is about an alien soldier who finds herself in an intergalactic battle. Confronted with memories of a past life on Earth, she teams up with familiar faces to end a war. Captain Marvel is particularly exciting, as she was hinted to arrive in a big way at the end of Avengers: Infinity War. You can watch it at State Theater and other theaters near you.